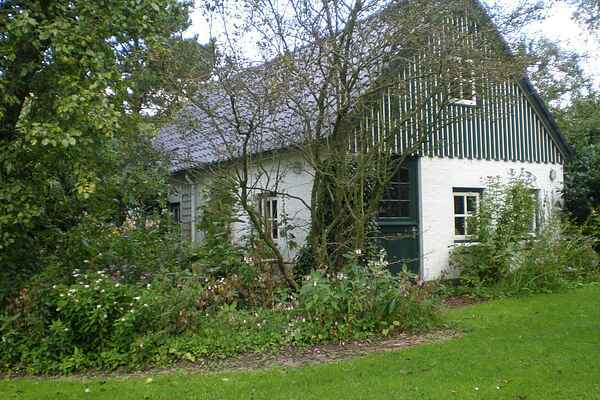 This snug vacation home is located in the Frisian countryside and the picturesque village of Kollum, on the owner's property. The residence is surrounded by a large nature garden with streams, dikes and fruit trees. From your own bank, you can fish, but swimming is also one of your options. The nearby National Park of Lauwersmeer can be explored on foot, on a bike or by boat. The centre of Kollum is 3 km away. This historic city and 11 City member Dokkum is located approximately 10 km away. A perfect place for the true nature lover.